With king size double bed and low single bed, these rooms are ideal for 2 adults and child under 16 years old. We can also offer an infant travel cot if required, please advise at time of booking. 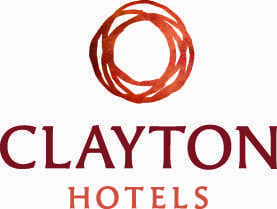 Ideal for 2 adults and 2 children (under 16 years old), Standard Large Family Rooms contain 2 double beds. Due to limited number of this type of room please call reservations on +44 28 9445 7000 to reserve this room type. 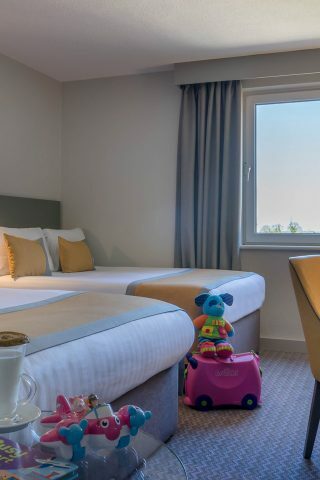 Our Adjoining Suite features two separate bedrooms with interconnecting doors so you can relax while the little ones sleep peacefully next door. One room has a queen size double bed and the other 2 single twin beds, each room has an ensuite bathroom. A travel cot can be added to either of these rooms. Due to the limited numbers of this room type, please contact us on +44 28 9445 7000 to reserve an Adjoining Suite for your family.